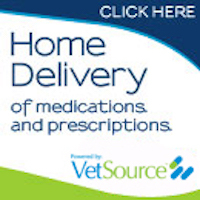 As house call veterinarians we are often asked about in home hospice care and pet euthanasia services. Many pets require an increased level of care as they age, chronically ill pets may need pain management, fluid therapy, and adjustment of treatment plans to help maintain their quality of life. Our veterinarians can help keep your pet comfortable as their needs increase during their twilight years. When your pet’s quality of life declines to the point that your family is ready to make an end of life decision, our veterinarians can answer any questions you may have. When you and your pet are ready, our veterinarians will do a thorough exam and discuss any concerns or options for treatments. If you decide on euthanasia, the procedure provides the maximum comfort possible. Many owners find it easier to allow their pets pass in the comfort of their own home, as pets can have difficulty traveling in the car and get anxious and stressed at veterinary hospitals. 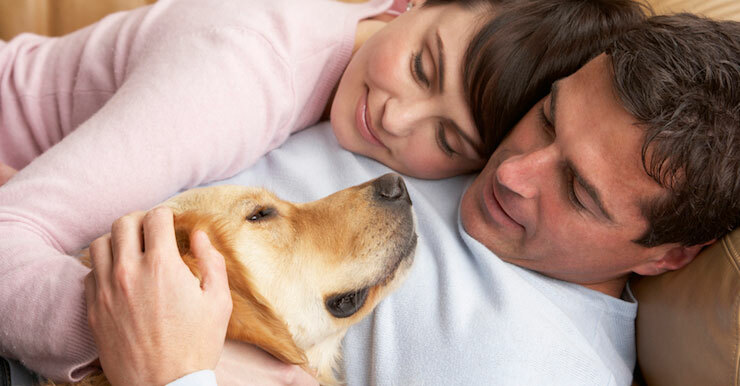 At home we can provide a much more private and relaxing environment for you and your pet. If this option is chosen, a sedative is administered to help your pet relax and make them more comfortable. This is followed by a solution that compassionately puts your pet to sleep and they peacefully pass. In home euthanasia is a comforting and peaceful way to say goodbye to your beloved furry family member. We can arrange both private and communal cremations. Home burial is also an option but please be sure to check your local ordinances. Anyone who has been lucky enough to share their life with a pet will eventually be faced with the dilemma of saying goodbye. We hope it’s only after years of happy co-existence filled with crazy ups and downs and many magical stories. Our furry companions give us something that I would argue can not be readily found. They gift us with unconditional love and acceptance. If we are out too late and forget to call, their response is, if anything, an even warmer reception when we return. Maybe we get busy with a new friend or work …. It’s okay, they are always happy to see us and accept whatever time we can share. They live in the moment, and seem to find happiness in most everything. I think over time we learn to rely on their loving support and even forget sometimes how important it is to us. Then as they age … so much quicker than we do; we realize that eventually we might have to face a quiet house, a less animated homecoming after work, a walk in the park alone. It is then that it truly hits us, what the value of the friendship from our pets really means to us. They are not just a dog, cat or obligation. They give so much more and ask for very little in comparison. It is for this reason the parting of ways is not only the most difficult time as a pet owner, but also a time of great responsibility. This responsibility rests squarely on our shoulders; as we are our pet’s best advocate. It’s only natural as they decline in health to wonder if we will have to make the decision to help our pet cross over. We worry how we will know with any certainty that it is the right decision at the right time. As our pets guardian we want our loved one to enjoy every good moment left to them, without enduring one minute of true suffering. Although it feels monumental to make such a decision, to decide “the when” for another living being, the decision falls to us. Only those who have shared the life of a furry family member will know when their quality of life is no longer viable. As a pet owner I have had to face this decision myself, and know it is never an easy one to make. I can tell you that even if you know it’s the right thing at the right time there will be doubts. It’s human nature to question our important decisions, and I guess it’s not meant to be easy. As a house call veterinarian, this subject comes up with a degree of frequency. We see many patients through their senior years and on into hospice care. It’s often more comfortable for our older arthritic patients to be cared for at home. We have found there is not one perfect answer for every pet and family. Some of the following suggestions may be of help. Keep in mind that these considerations may vary by individual situations such as disease, type and size of pet and the physical capabilities of their families. 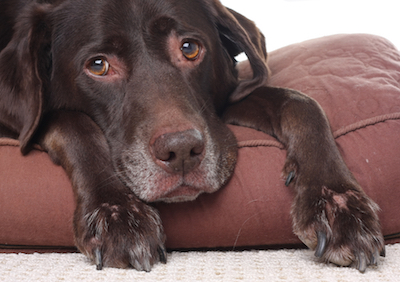 Does your pet have uncontrolled pain? Is it consistent? Are they critically injured and will not survive the damage? Are they having labored breathing, increase respiratory rate and/or effort (are they moving their belly to breathe)? Do they have uncontrollable seizures? Have they completely stopped eating on their own? Can they stand on their own, or do they fall when they try to move? If the answer is yes to these questions, the decision maybe easier, but no less devastating. It’s when the need is less urgent, and less obvious that makes it so hard to decide if it’s time. Often pets do not overtly show pain, or are very stoic, so we may have to look at more subtle signs. Does my pet’s pain wax and wane? Can it be controlled with treatment or medication? Has palliative care/ hospice care been exhausted, or is it not an option? Have they stopped eating? And if they eat do they become sick and vomit after? Is the pet just existing? Are they barely moving and not interacting with the family? Have they had a personality change like being grumpy or not acting like themselves. Does your pet still enjoy their favorite things? Writing down the facts and our thoughts and feelings about them can sometime help make our path more clear. You may want to make a daily note about your pet’s interactions with the family, his condition, behavior and appetite. It may be easier to reflect on his progression of symptoms this way. As a family, make a list of things that your pet loves to do, and activities you enjoy sharing with them. It is important that everyone in the family has the chance to contribute to this discussion, as each family member may have a slightly different relationship with the pet. Discuss your concerns with your Veterinarian, or a caring trusted friend to gain some perspective. Keep in mind that the items on the list may not be what they were when the pet was younger. Laying on the couch and watching TV with the family is a perfectly acceptable item to have on this list, even if going on a five mile walk is no longer in your pets’ abilities. Put this list somewhere near a calendar. Each day review it, evaluating if they were able to do or enjoy an appreciable number of things on this list. Mark the calendar daily + = good day, – = bad day, / = status quo. Review the calendar weekly: when greater than 50% of days are bad, or if less than 25% are good than consider it may be time. This exercise of “Quantifying” Quality of Life attempts to make a very emotional and subjective decision a bit more objective. And though nothing makes the decision to say goodbye to a loved pet any easier, sometimes it can make the right decision more evident. Our emotions surrounding this subject can be mixed and confusing. The best we can do is to try to quantify the things that make life worth living for our pet, and assess the facts without letting our emotions completely overwhelm the decision making process. Making the decision to euthanize a cat or dog is the hardest part. When the time comes, most pet owners find peace when the decision is made and they know they are acting in the best interest of their pet. One additional thought on coping with the death of a pet. I often hear people upset upon losing a pet say that the pain is so great they never again want to love a pet that deeply. I believe it is important at that moment to pull out all the old memories and stories of why our pet was great, silly, mischievous, etc…to understand that the last days and weeks may have been sad, but we had years of warm happy support and love that will live forever in our memories. I hope that by reminding a grieving pet parent of the joy they have shared with their pet, it might let them be open to the experience again someday. There are so many wonderful companions needing a home and a family to love. And though a new pet may never fill your previous pet’s shoes, if you are able to make room in your heart to love again, they will make their own indelible mark on your soul.